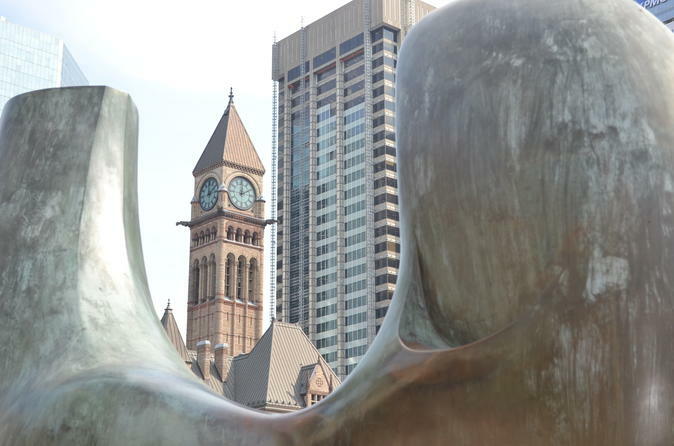 This afternoon at 2.00pm we depart for our guided walk from in front of Union Station (please meet with your guide, under the railway clock, located outside on Front Street, in front of Union Station) and explore examples of public art, public space, sculptures, architecture, and landmarks in the Toronto downtown core. The guided walking tour accepts no more than 15 clients to ensure optimum enjoyment for all. The walking distance is roughly 3km, utilising The PATH, sidewalks, and includes escalators and stairs. Duration is around 2 hours. The tour concludes at Nathan Phillips Square, Queen Street W.